It was discussing with someone. Garbage has settled at the bottom of the pool. How can we reduce this trash? Once we turn over the whole pool. the same effect can be obtained by a certain operation. 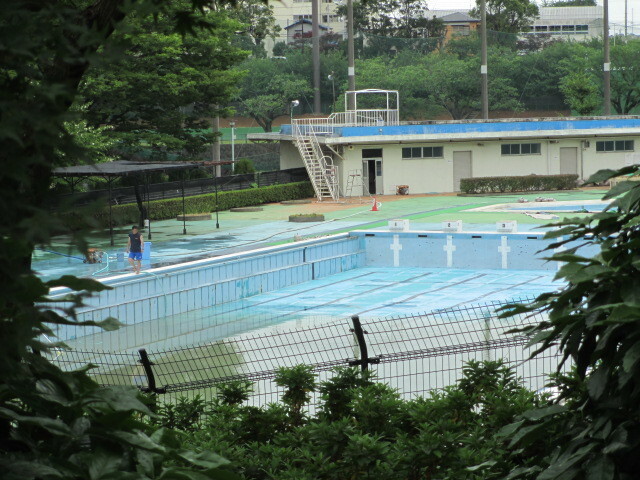 It was shown by the cross section of the pool. heavy garbage will rise and light garbage will sink. I admire while explaining myself. However, I can not remember concrete measures. but now it is a complete mystery.